The purpose of this editorial is to explore how pediatric heart care can be included in a national effort towards universal health coverage. I will start by summarizing the situation with pediatric heart care in the country and list the specific challenges when it comes to attempting to provide coverage for every single child with heart disease in India. This will be followed by an attempt to draft a roadmap for inclusion of pediatric heart care in the universal health coverage agenda. The burden of pediatric heart disease in India is likely to be the largest among all nations in the world simply because of the fact that there are more children born in India than anywhere else. Two recent surveys at birth have provided the basis of estimating the burden of congenital heart disease (CHD) in India. , Using the larger and more recently published study, it can be estimated that approximately 100,000 babies are born each year with "major" and "critical" CHD. These CHDs include a list of condition that need to be addressed early, mostly within the 1 st year of life. Recognizing the fact that majority of those born with CHD do not receive timely treatment, the overall burden of children and adults with unoperated CHD is likely to be considerable in India. Other pediatric heart disease such as idiopathic pulmonary hypertension, Kawasaki disease, myocarditis and cardiomyopathy, rhythm disorders and, Takayasu arteritis, are all well characterized in the Indian context. They all need specialized attention, ideally in pediatric heart programs. Absolute numbers are likely to be substantial given the Nations Population and age distribution and perhaps beyond the capacity of existing pediatric heart programs. Lifestyle related conditions such as hypertension and childhood obesity are on a rapid rise in urban populations. , Preventive programs need to be instituted on a massive scale to mitigate the ongoing epidemic of adult cardiovascular disease that has its origins in adverse childhood lifestyles. Given the fact that maximum attrition from most forms of CHD happens in the 1 st year of life, a meaningful reduction in CHD-related deaths could only be accomplished through correction in the 1 st year of life, in most instances through an open-heart operation. Infant and newborn open-heart surgery are among the most resource-intensive endeavors in medicine and outcomes are the exquisitely sensitive quality of services. It is generally recommended that one infant and newborn heart surgery program with the capability of performing 200-500 operations is required for 5-10 million people. This would translate into a requirement of at least a thousand pediatric heart centers for all of India. Perhaps because of the specific challenges, dedicated pediatric cardiac programs have been slow to develop in India. As of 2015 it can be estimated that there are less than 50 centers in India with the capability of infant and newborn open-heart surgery and a minimum annual caseload of 200 operations. The majority of these are a part of "for-profit institutions" and fewer than 10 of these are in the government sector. While the shortfall in an actual number of centers is in excess of 900, an equally important consideration is the distribution of pediatric heart programs. Over 90% of the pediatric heart programs are located in the western half of the country (West of the Kanpur-Chennai line). Many large states have no pediatric heart program. There are no programs for the entire northeastern region [Figure 1]. It is important to recognize that pediatric heart programs need to develop as a part of a large health care ecosystem rather than as isolated entities. Pediatric heart care, particularly for infant and newborns, are effective if they are carefully integrated into an organized and mature referral network of primary and secondary level pediatric caregivers with effective referral and transportation systems. Clustering of many programs in metros would not allow for efficiency and would foster unhealthy competition. Unfortunately, this is exactly what seems to have happened. Most programs in the western half of India are clustered in and around large metropolitan cities. They largely cater to relatively affluent sections of the society resulting a rather ridiculous situation of competition among programs for patients in the face of a massive shortfall in overall coverage. While the costs of care are beyond the reach of many Indian families, these centers have become a destination for an increasing number of children from other countries because they are quite affordable in comparison to high-income nations. These disturbing contradictions are a simple reflection of the fact that health care in India is not organized in accordance with societal needs. Very few of the existing pediatric heart centers in India can be considered truly comprehensive by prevailing western standards. Almost all programs are working to full capacity in the face of a shortfall of human and material resources and limitations in infrastructure. Most programs are forced to share resources with busy adult cardiac programs without which they would not be economically viable. The most serious deficiencies are in nursing, intensive care physicians and dedicated pediatric heart surgeons with the capability to perform infant and newborn cardiac surgery. There is also a serious lack of ability to provide timely diagnosis and referral and general awareness of the magnitude of the problem among the primary health care professionals, resulting in late presentation or, often, untimely death. The massive shortfall in resources available for pediatric heart care needs to be understood by all stakeholders, especially policy planners. As long as this shortfall prevails, announcements on universal coverage (such as the RBSK scheme) can only be considered to be aspirational statements. It is necessary to develop several hundred new pediatric programs that are geographically distributed in accordance with regional needs. It must also be understood that pediatric heart does not surface as a priority unless infant mortality from readily preventable causes declines. Thus regions with relatively low infant mortality rate (IMR) (<20) are likely to perceive the need for pediatric heart centers first. It may be necessary to prioritize these regions for the development of new pediatric heart programs. In regions with high IMR, a strong focus pediatric heart care may amount to misplaced public health priorities. The most important element in building pediatric heart programs is human resources. New centers will need to be manned by trained pediatric cardiac surgeons, pediatric cardiologists, anesthesiologists, intensivists, nurses, and perfusion technologists. It is vital to develop select centers as academic centers of excellence with dedicated training programs and research facilities. These centers are vital to enable local capacity building. Traditionally, the responsibility of providing training has been shouldered by government and selected charitable institutions. In the few government academic medical institutions in India that take care of children with heart disease and regularly perform infant and newborn heart surgery, pediatric cardiac surgery, and pediatric cardiology still largely function as a subsidiary of the respective adult cardiac service. This arrangement has severely curtailed the growth of the specialty and has come in the way of the establishment of specialized training programs that is needed for the care of children with heart disease. A handful of institutions outside the government sector have initiated training programs in pediatric cardiology. Training opportunities for pediatric cardiac surgeons are extremely limited, and there are no dedicated training programs in pediatric cardiac intensive care. There is a need to bring together key stakeholders that should include representatives of the Pediatric Cardiac Society of India, Medical Council of India and National Board of Examinations, the Ministry of Health including those involved in the RBSK initiative to a common forum and discuss the specific modalities towards building capacity in pediatric heart care in India. Dedicated Departments of Pediatric Cardiology and Pediatric Cardiac Surgery need to be established in leading academic medical institutions of the country in the government sector (such as All India Institute of Medical Sciences, Post Graduate Institute of Medical Research and Education, Sree Chithra Thirunal Institute of Medical Sciences and Technology, Sri Jayadeva Institute of Cardiology, and selected medical colleges and flagship hospitals of the Ministry of Health). Advanced training programs, specifically, Doctor of Medicine (DM) and Master of Chirurgical (Mch) programs in pediatric cardiology and pediatric cardiac surgery respectively should be established in these institutions. Over the next several years there should be a plan to initiate pediatric heart programs in more and more medical colleges in India in a carefully planned fashion with a view to build substantial capacity for pediatric heart care in the country. A mechanism should be created to encourage and nurture private and charitable institutions with pediatric heart programs to develop training programs for specific categories of physicians, nursing, and allied professional streams. These results clearly suggest that universal coverage for pediatric heart needs to be supported by public insurance schemes. Private institutions will need to partner with the government in providing for UHC in a manner quite similar to the Aarogyasri model. The total costs for pediatric heart care will be substantial, and it is not clear how the government will generate the necessary resources? It is not entirely clear what the annual fund requirement will have to be. If the government undertakes to pay (as was promised by the minister of health in the RBSK document), will this be sustainable? In regions where there are serious deficiencies in basic maternal and child health services, can substantial resource allocation for expensive infant heart surgery be justified? There is another key consideration. It is simply not realistic and sustainable for UHC to cover all forms of pediatric heart disease. This is especially true for congenital defects. It needs to be understood by all stakeholders that CHD includes an extremely diverse group of conditions. Some of these require no treatment, some can be fixed through a single operation, some require many operations, and many have lifelong issues after the "correction." The extreme diversity in resource utilization makes it hard to come up with a simplified recommendation. For example, the 3-stage surgery for the hypoplastic left heart with considerable long-term uncertainty can consume a lot of resources whereas a simple cath laboratory procedure can a large duct for good. Both these are life-saving procedures, but there are major differences in the "return on investment." The likelihood of unanticipated costs is especially high after pediatric heart surgery. Intensive care is often longer than expected, and this uncertainty will need to be integrated into the model used to calculate reimbursement for procedures. It is also necessary to recognize that availability of public insurance with a fixed reimbursement policy for hospitals may inappropriately shift the focus towards the simple and relatively benign heart defects. Hospitals may prefer to do more of restrictive patent arterial ducts, relatively small or moderate atrial septal defects and restrictive perimembranous ventricular septal defects (VSDs). Some of these defects would often be left alone in the absence of public insurance. In any case, they would not be a priority over a relatively expensive situation such as an infant with a large VSD and pneumonia who stands to gain the most from early corrective surgery. Given these considerations, how should UHC for CHD be prioritized? The framework for prioritizing treatment is likely to be complex and will involve a number of considerations. Two fundamental considerations would dictate how CHD care should be prioritized. Firstly, how much is the defect likely to impact the child's survival and well-being? Secondly, what is the likely long-term outcome after initial correction of the defect? Most would agree that major CHDs that can be corrected through a single operation or catheter procedure should receive a higher priority over conditions requiring multiple operations [Figure 2]. Staged single ventricle palliations with the uncertain long-term outcome (such as heterotaxy and hypoplastic left heart syndrome) should receive the lowest priority. 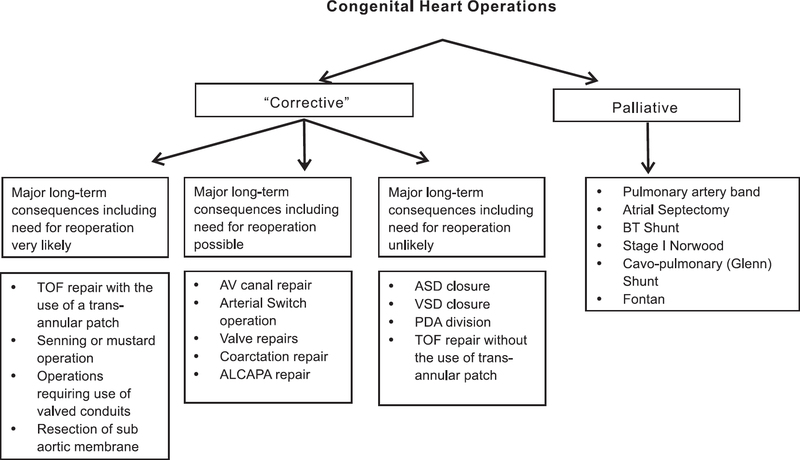 [Figure 2] is an attempt to classify congenital heart operations based on expected long-term outcomes. For catheter interventions, procedures that do not have wide acceptance such as the closure of the membranous VSD or a "silent" patent ductus arteriosus should perhaps receive lower priority. Pulmonary hypertension is a common association and has a powerful impact on outcomes. It poses a difficult dilemma in borderline situations. It can be argued that significant elevation of pulmonary vascular resistance should lower the priority for funding of the procedure because of uncertainties in long-term outcome. Many other considerations are worth deliberating on. They include presence or absence of genetic conditions that will strongly impact the neurodevelopmental outcome. Co-morbidities such as blood stream sepsis, lung infection, prematurity, congenital defects involving other organ systems are all quite common in children with CHD. They have a significant impact on surgical and neurodevelopmental outcomes and are quite difficult to factor in. Given the sensitivity of outcomes to the quality of care, it is vital that pediatric heart centers seeking to participate in UHC are carefully selected to ensure that minimum standards are met. Ideally, outcomes after surgery and catheter interventions in each institution should be made available in the public domain. Shared registries between all centers in the country will allow for comparison of results with the benchmarking with national average and results from North America and Europe. It will also enable determination of coverage region-wise and for the country as a whole. Pediatric heart professionals in India today are in a unique position to contribute to the development of the specific disciplines that constitute pediatric heart care. While we are all perhaps motivated to deliver the very best for the children who reach us, we should all perhaps consider improving access for the average child with heart disease in the region we seek to serve as an equally important goal. Should we not look to try and deliver care in such a way that we benefit the largest possible proportion of patients in the region? Do we actually go out there into the community and ask some uncomfortable questions about why children with heart disease are not getting the care they should be getting? The huge gulf between resources and disease burden has not surfaced in our collective consciousness and clearly does not figure enough in our academic deliberations. We expect the government (policy makers) to figure out ways to address the question of improving access to care to bridge the gulf and perhaps do not perceive it as our responsibility. However, we are in a position to influence policy. This requires collective and responsible advocacy from the members of the Pediatric Cardiac Society of India (PCSI). The time is right for the PCSI to draft an advocacy statement for the government with the specific view to improving access for children with heart disease through a system of universal health coverage. Pediatric cardiac care in India has advanced impressively in terms of quality of care in selected institutions and the number of new centers that have the capability for the infant and newborn heart surgery. However, the collective capacity for pediatric heart care in the country falls woefully short of the overall national requirements, and the existing centers are not distributed in accordance with regional needs. Given the current challenges, universal coverage for children with heart disease in India may appear like a distant dream. Nonetheless, this may be the most worthwhile dream to pursue for the pediatric cardiac fraternity. We can only claim to have truly progressed when the average child born in India with heart disease has access to comprehensive pediatric cardiac care. Available from: http://www.thehindu.com/2004/08/08/stories/2004080803050600.htm . [Last accessed on 2015 Aug 16]. Available from: http://www.thehindu.com/2004/08/14/stories/2004081408760400.htm. [Last accessed on 2015 Aug 16]. A Rapid Evaluation of the Rajiv Aarogyasri Community Health Insurance Scheme-Andhra Pradesh, The Indian Institute of Public Health. Available from: http://www.uel.ac.uk/wwwmedia/microsites/ihhd/Rajiv-Aarogyasri-Evaluation-Report-(1).pdf. [Last accessed on 2015 Aug 16]. Stuckler D, Feigl AB, Basu S, McKee M. The Political Economy of Universal Health Coverage. Available from: http://www.healthsystemsresearch.org/hsr2010/images/stories/8political_economy.pdf. [Last accessed on 2015 Aug 16]. Reddy KS. Health assurance: Giving shape to a slogan, Current medicine research and practice 2015;5:1-9. http://www.cmrp-journal.com/article/S2352-0817(15)00012-4/pdf [Last accessed on 2015 Aug 22]. National Health Policy 2015 Draft. New Delhi, India: Ministry of Health and Family Welfare; 2014. Rashtriya Bal Swasthya Karyakram (RBSK). Child Health Screening and Early Intervention Services under NRHM, Ministry of Health & Family Welfare Government of India; February, 2013. Vaidyanathan B, Sathish G, Mohanan ST, Sundaram KR, Warrier KK, Kumar RK. Clinical screening for Congenital heart disease at birth: A prospective study in a community hospital in Kerala. Indian Pediatr 2011;48:25-30. Saxena A, Mehta A, Ramakrishnan S, Sharma M, Salhan S, Kalaivani M, et al. Pulse oximetry as a screening tool for detecting major congenital heart defects in Indian newborns. Arch Dis Child Fetal Neonatal Ed 2015. pii: Fetalneonatal-2014-307485. Jai Vigyan Mission Mode Project Community Control of Rheumatic Fever/Rheumatic Heart Disease in India Comprehensive Project Report (2000-2010). Indian Council of Medical Research, New Delhi. Available from: http://www.icmr.nic.in/final/Jai%20Vigyan%20Mission%20Mode%20Project%20on%20Rheumatic%20Fever%20and%20Rheumatic%20Heart%20Disease%20(1).pdf. [Last accessed on 2015 Aug 17]. Kumar RK, Tandon R. Rheumatic fever & rheumatic heart disease: The last 50 years. Indian J Med Res 2013;137:643-58. Raj M, Kumar RK. Obesity in children & adolescents. Indian J Med Res 2010;132:598-607. Davis JT, Allen HD, Powers JD, Cohen DM. Population requirements for capitation planning in pediatric cardiac surgery. Arch Pediatr Adolesc Med 1996;150:257-9. Kumar RK. Training pediatric heart surgeons for the future: A global challenge. Ann Pediatr Cardiol 2015;8:99-102. Kumar RK, Tynan MJ. Catheter interventions for congenital heart disease in third world countries. Pediatr Cardiol 2005;26:241-9. Jenkins KJ, Gauvreau K, Newburger JW, Spray TL, Moller JH, Iezzoni LI. Consensus-based method for risk adjustment for surgery for congenital heart disease. J Thorac Cardiovasc Surg 2002;123:110-8. Lacour-Gayet F, Clarke D, Jacobs J, Gaynor W, Hamilton L, Jacobs M, et al. The Aristotle score for congenital heart surgery. Semin Thorac Cardiovasc Surg Pediatr Card Surg Annu 2004;7:185-91. O′Brien SM, Clarke DR, Jacobs JP, Jacobs ML, Lacour-Gayet FG, Pizarro C, et al. An empirically based tool for analyzing mortality associated with congenital heart surgery. J Thorac Cardiovasc Surg 2009;138:1139-53. Jenkins KJ, Castañeda AR, Cherian KM, Couser CA, Dale EK, Gauvreau K, et al. Reducing mortality and infections after congenital heart surgery in the developing world. Pediatrics 2014;134:e1422-30.